Beth Jacob Cemetery in Lower Burrell was founded in 1912. 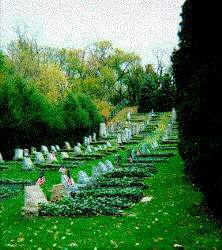 It is one of the areas most beautiful and best kept cemeteries. Small stones are placed on the graves to mark the visits of loved ones.